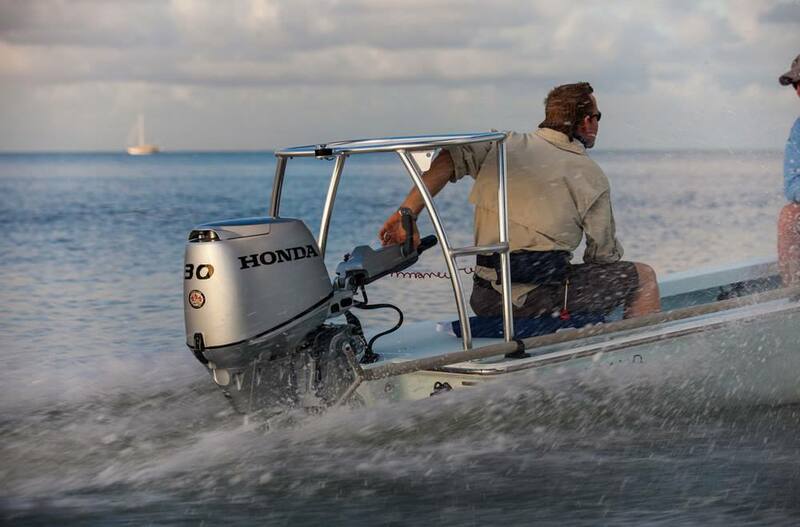 For mid and smaller horsepower needs, there’s plenty of punch in the Honda BF30. But it’s power you’ll feel and never hear. That’s because all Hondas are whisper quiet. So extraordinarily quiet, we don’t have to put extra dampening insulation in the cowling like most manufacturers do. And of course, the exceptionally durable BF30 is backed by the best standard warranty you can get. The end result? More good times on the water. 3 Inlet Cooling - better performance: Provides plenty of water to maintain optimum engine temperature in all conditions. Forced Air Ventilation - better performance and durability: Unique air intake on the top of the cowl allows cooler air to enter and warmer air to escape. The ventilation system reduces under-the-hood operating temperature, improving performance and long-term durability of the electrical components. Power Trim/Tilt - easy and convenient: Allows user to trim the unit for maximum performance and handling. Diameter x Pitch: 9-7/8 x 12 in. Overall Width: 375 mm/14.8 in. 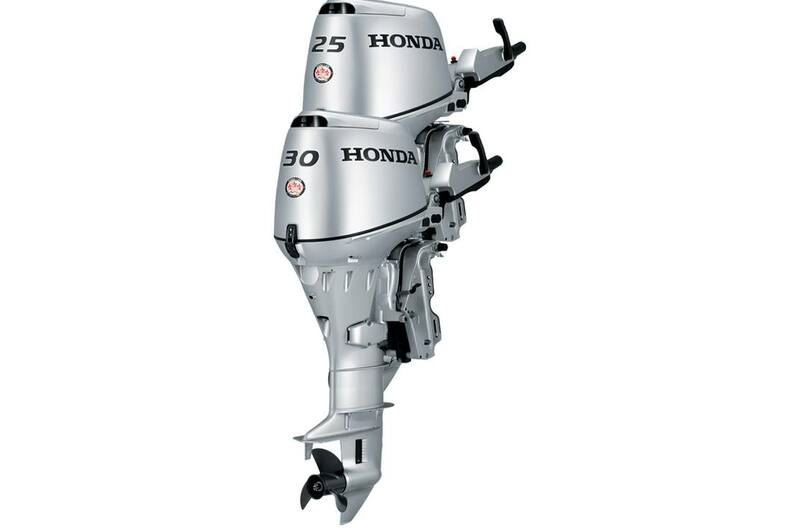 4-Stroke SOHC 3 Cylinder - 2 Valves/ Cyl. -4 deg. to +12 deg.